Jun 13 2018 - The Myanmar government announced on May 31 that it will establish an independent commission of inquiry to investigate human rights violations and related issues following attacks by the Arakan Rohingya Salvation Army (ARSA) on Myanmar security posts in August last year. The president’s office said the commission will consist of three people, including an international member, who will be assisted by local and international legal and technical experts. Since the announcement, the issue has been widely debated inside Myanmar, primarily on the inclusion of an international member in the commission. The proposal even suggested that the commission be headed by the State Counsellor Aung San Suu Kyi herself. And in case she is too busy with other pressing issues, the task be assigned to former military generals who were also parliamentary speakers—Thura Shwe Mann, who is now chairman of the Legal Affairs and Special Cases Assessment Commission, and Khin Aung Myint, who is now a lawmaker in the Upper House. Though the concern of the USDP lawmakers is understandable, the scale and nature of Rohingya crisis has been so pervasive that the necessity of outside help and support becomes inevitable. At the least, there are three important reasons why internationalisation of the Rohingya crisis can no longer be avoided at this stage. The first reason is the scale and nature of violence. Because of the massive exodus of refugees, the Rohingya crisis has gotten unprecedented media coverage and international attention, especially since the August 25 attacks. The Rohingya conundrum is so difficult and complex largely because of the historical nature of the problem as well as the controversy surrounding the questions of ethnic identity and citizenship. From 1975 to 2017, there have been at least six waves of refugee movements from Myanmar into Bangladesh. The refugee issue was first taken up by the Bangladesh government with the Myanmar authorities following the arrival of about 3,500 refugees from Myanmar in 1975. Subsequently, between May and June of 1978, over 200,000 refugees from Myanmar crossed over into Bangladesh. Meetings and discussions were held between the two countries for a possible solution but no significant progress had been made. 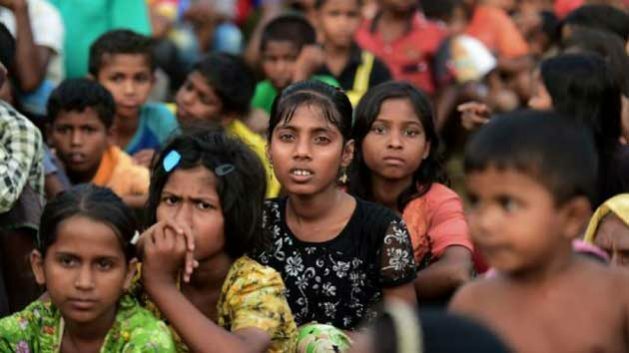 While the Myanmar authorities maintained that the refugees were illegal immigrants who tried to avoid immigration checks, the Bangladesh government insisted that they were not their citizens and they should be repatriated to Myanmar. Another wave of violence occurred in June and October of 2012 which led to several deaths and exodus of several thousands of Rohingya refugees into Bangladesh, which was followed by violence in October 2016 and again in August 2017. The latest round of violence has forced out over 700,000 Rohingya people into Bangladesh. Moreover, the different interpretations of ethnic identity and citizenship issues of the Rohingya people by the Myanmar government and the Rohingya community necessitate the intervention of international scholars and legal experts. The second reason is Myanmar’s own initiative. In August 2016, the Myanmar government formed a nine-member state advisory commission on Rakhine, chaired by former UN Secretary-General Kofi Annan. Among others, the commission recommended citizenship verification, rights and equality, and documentation, and talked about the situation of the internally displaced and freedom of movement as well as a ministerial-level appointment to coordinate the effective implementation of the commission’s recommendations. Since the government has involved the international community on the Rohingya issue in the past, it will be now difficult for Myanmar to avoid or ignore the presence of international members in its initiatives, including advisory body or investigative commissions. The third reason is pressure from the UN Security Council which sent its delegation to Bangladesh and Myanmar from April 28 to May 1, 2018. The council members urged the Myanmar government to conduct a transparent investigation into alleged human rights abuses in northern Rakhine or face the potential of military officials being referred to the International Criminal Court, and to speed up repatriation of the hundreds of thousands of Rohingya refugees from Bangladesh with the help of UN agencies. The international community’s pressure led to the signing of a tripartite agreement on June 6 between Myanmar and two UN agencies—United Nations High Commissioner for Refugees (UNHCR) and United Nations Development Program (UNDP)—which would provide a framework for UNHCR and UNDP to be given access to Rakhine state, including to the refugees’ places of origin and areas of potential return that has not been permitted since violence broke out in August 2017. The urgency and severity of the Rohingya crisis is evident from the fact that key members of the National Defense and Security Council (the country’s highest decision-making body)—including the president, state counsellor, army chief and other senior Myanmar officials—met at the presidential palace in the country’s capital in Naypyidaw on June 8 to discuss the latest developments in the restive Rakhine state. Such a high-level meeting was the first since President Win Myint took office in late March, and only the second since the National League for Democracy-led government took power more than two years ago. While concerns about Myanmar’s national security and sovereignty as expressed by the USDP lawmakers have a point, it may now be too late for the country to oppose the presence or intervention of the international community. In other words, it may now be even counterproductive to ignore the internationalisation of the Rohingya crisis. Dr Nehginpao Kipgen is Associate Professor and Executive Director of the Center for Southeast Asian Studies, Jindal School of International Affairs, O.P. Jindal Global University. He is the author of three books on Myanmar, including Democratization of Myanmar.